So, you continue to drain yourself, day in – day out, hoping that eventually all of this work will pay off and you will find that magical ability to freeze time.. at least long enough to re-charge your batteries. 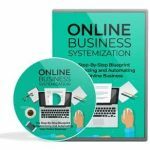 Did you have any idea that marketers and business owners, just like you, are leaps and bounds ahead of where you are right now simply because you aren’t effectively managing your time? And finally, do you realize that those power sessions where you are half asleep on your keyboard trying desperately to get just ‘one more thing done’ is actually PREVENTING you from being as successful as you can be? Try driving a car with no fuel.. it’s impossible, right? Well, your body works the exact same way. Come on, you know you are draining yourself from not only energy and focus, but the ability to be creative.. to think with clarity, to master as much as you can and do it as best as you can. But there’s a solution for even the most dedicated workaholic out there..
I’ve been called a severe workaholic by friends and family. I can’t tell you how many times I ate dinner at my desk simply because I didn’t have time to step away. I was burned out, de-motivated and feeling stuck in one spot, spinning my wheels as I tried my damnest to get ahead. I stared at the clock (doesn’t help slow it down, by the way), wondering how the heck I was going to fit my workload in.. how I was ever going to get around to the low end of my priority list when I couldn’t even seem to tick off the top tasks on my check list. And I watched, as you’re doing now.. as everyone in my industry zoomed past me at breakneck speed..
And quite honestly, if you’re not following a strategy that will instantly take your allocated work time and shift it into overdrive, you are going to be light years behind your competition in a matter of months. Learning how to effectively manage your time and increase productivity is no longer something you should do, it’s something you NEED to do if you want to protect yourself from being completely slaughtered by the competition..
You’ve heard the old phrase “the shortest distance between two points is a straight line”, but if you take a close look at how you begin your work day.. are you following that structure? 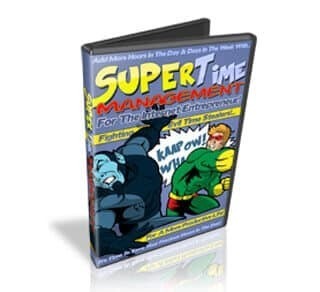 It’s not that you are a procrastinator, you aren’t.. you just aren’t following a productive system that will manage and control your time for you.. and if it’s left up to you to figure out, well, you know the drill, you simply don’t HAVE the time to learn how to MANAGE your time! In this video we’re going to go deeper into your activities in the day, seeing patterns of work, patterns of interruption, analyzing their importance and how to go about optimizing your time. You’ll see how we log our events with a simple spreadsheet that gives us a good birds-eye view of our productivity which you can follow to truly master your time! Act Now And We’ll Provide You With A 53 Page In-Depth Report To Compliment Your Videos! 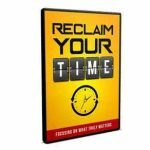 Follow a proven formula for effectively managing your time, setting tasks lists,schedules and goals that you can EASILY reach! Never again will you give up in frustration simply because you just can’t organize your business schedule! Wait! There’s More! Act Now And We’ll Include MP3s Of The Entire Course So You Can listen To It Wherever You Are! We’ve all got busy lives and may not have the time to sit and watch this course all the way to the end. You may even be interrupted or just forget precious nuggets of information. 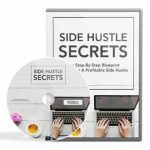 Whatever the case, we’re going to provide you with the downloadable MP3s of the course so you can listen to it in your car, on your phone, on your MP3 player or any other multi-media device so you can always make you time productive! We’d normally charge for this feature as a separate upgrade however you’ll be able to grab this absolutely free as part of your purchase! You see having some or part of the pieces of the puzzle is just as good as having none of them. Without complete knowledge you’re only kicking yourself and wasting both your time and money. 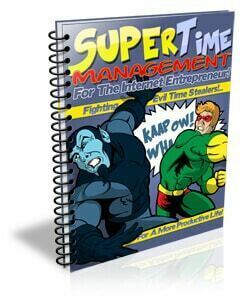 Super Time Management puts you on the right track to starting your business. Learn to walk before you run and I can guarantee you’ll do very well!